At this stop In San Diego, CA I met with James Alburger, a well respected voice actor and voice over coach, Founder of Voice Acting Academy in San Diego, California. James is a truly great coach, very knowledgeable and very generous with his knowledge. He was very kind to show me his studio and i asked him to repeat the tour for VocalBoothToGo channel. Any voice actor, producer and audio engineer must watch this. By strategically placing the acoustic treatment in the room James created a space where he can control the sound, so he can create the acoustic performance depending on the expected outcome. He explains it all in the video. VB72G Sound Absorption Panels Producers Choice- White- Black. Size 96×80 with Grommets. Single. The blankets are suspended on a ceiling track, so they can be moved out of the way as in over the doorway, but also you can slide them to open the wall if you need your room to be a little more Live, allow for some reflections. – https://www.vocalboothtogo.com/produc… (ceiling tracks can be as long as you need). Creators of Producers Choice Acoustic Blankets, VOMO portable vocal booth, and many more acoustic treatments to optimize sound absorption. Studios, Vocal professionals, Voiceover artists, Audio Engineers, and Home studios use our products every day to control their sound environment. This entry was posted in Instructional Videos, Videos, Voice Over MObile recording studio in Action! 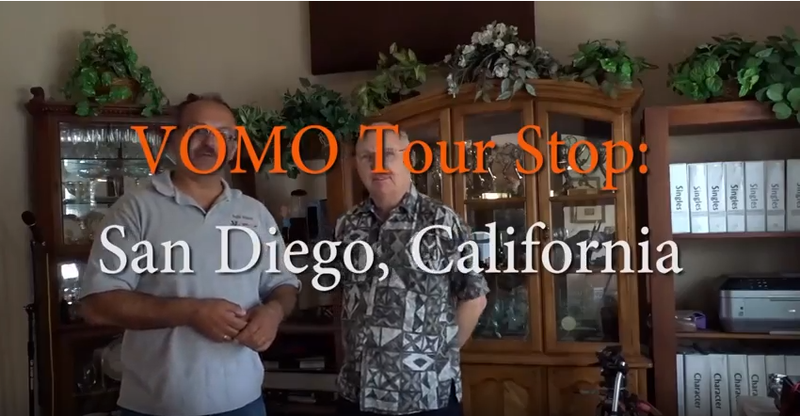 VOMO Tour Videos.. Bookmark the permalink.